Danielle is a Licensed Marriage and Family Therapist who joined CPCC in 2012. She earned her M.A. in Counseling Psychology from Santa Clara University with an emphasis on Marriage and Family Therapy, and also has a B.A. in History from Arizona State University. 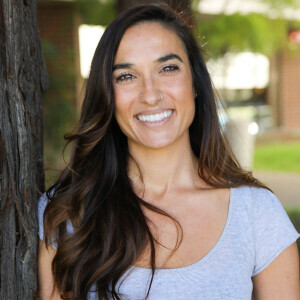 Danielle has a strong passion for creating the space for her clients to not only explore what they are bringing into the room, but to also help them grow in their own self-awareness to have a deeper sense of self, and find hope; using a range of therapeutic tools Danielle uses the client-therapist relationship to walk alongside them in their journey of healing. Danielle is also actively involved in high-school youth ministry where she runs groups combining therapeutic and spiritual issues. Danielle’s heart for God and desire to see others find healing, along with her own experience with trauma and recovery, allow her to connect with her clients and create a safe environment which allows them to come to a place of healing and restoration.